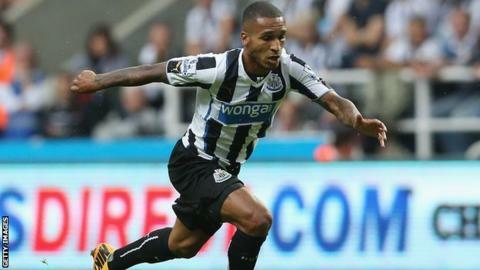 Former Newcastle winger Sylvain Marveaux says he is "co-operating" with investigators after he was arrested in a tax fraud case. In a statement, the 31-year-old said he knows "few" details about the investigation but it involves his 2011 transfer from Rennes to Newcastle. The Frenchman, one of four people arrested in the HM Revenue & Customs (HMRC) case, has now been released. He made 39 appearances for the Magpies before returning to France last year. French authorities said secret payments made to players and agents during deals between French and Premier League clubs are the focus of the investigation. Newcastle and West Ham's grounds were raided on Wednesday, as HMRC deployed 180 officers across the UK and France. Newcastle's managing director Lee Charnley was also arrested, but later released without charge. The French Prosecutor's office says 10 searches were carried out in France and four people were placed in police custody.